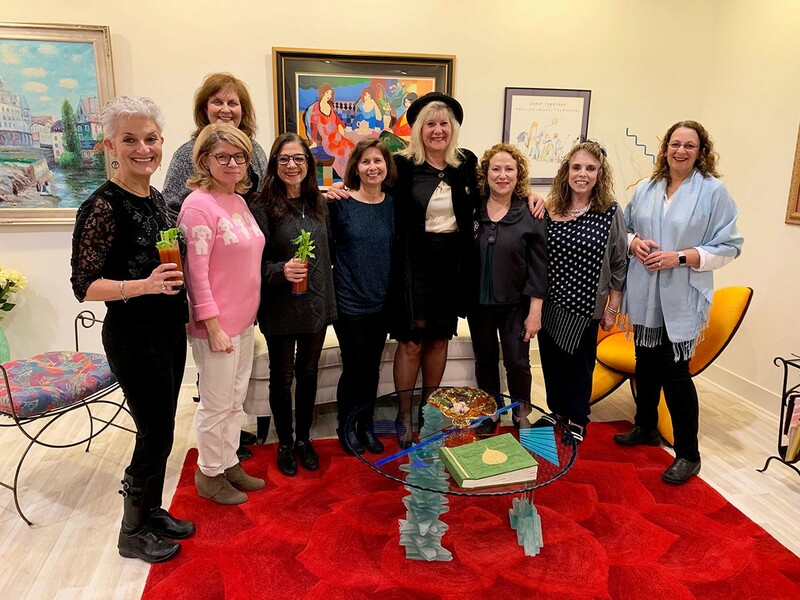 Fans of the show The Marvelous Mrs. Maisel gathered for a second-season viewing party at Arlene Lassin’s home, co-hosted by Stefani Twyford. The Maisel aficionados donned red lipstick, painted their nails red, brought out the vintage charm bracelets and enjoyed ’50s-style dishes in the theme of the show. Foods of the era included deviled eggs, fudge tunnel cake and Jello mold. Pictured are the marvelous (from left) Susan Farb Morris, Tricia Rauch, Barbara Ettinger, Syndy Gold, Francine Beckman, Arlene Lassin, Stefani Twyford, Midge Wische (a real-life “Midge!”) and Barbara Lindenberg.